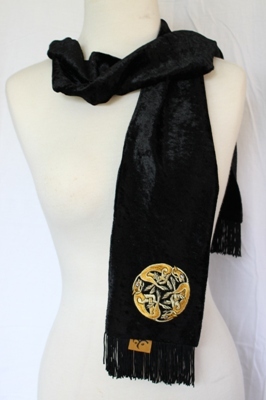 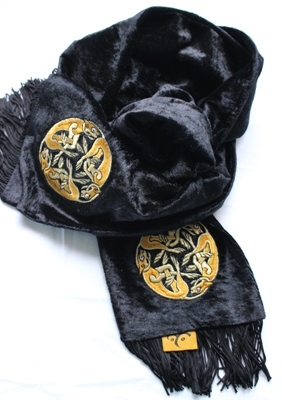 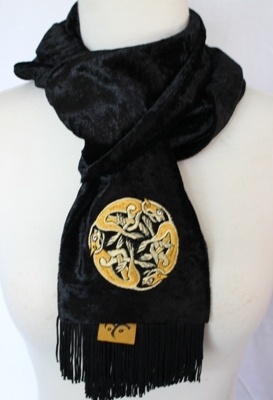 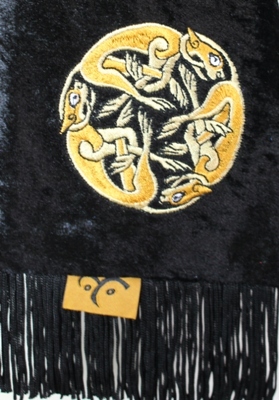 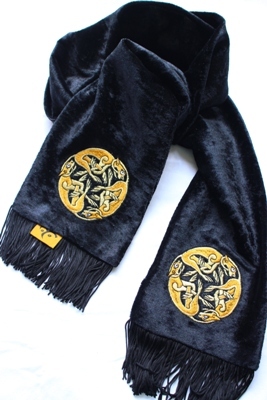 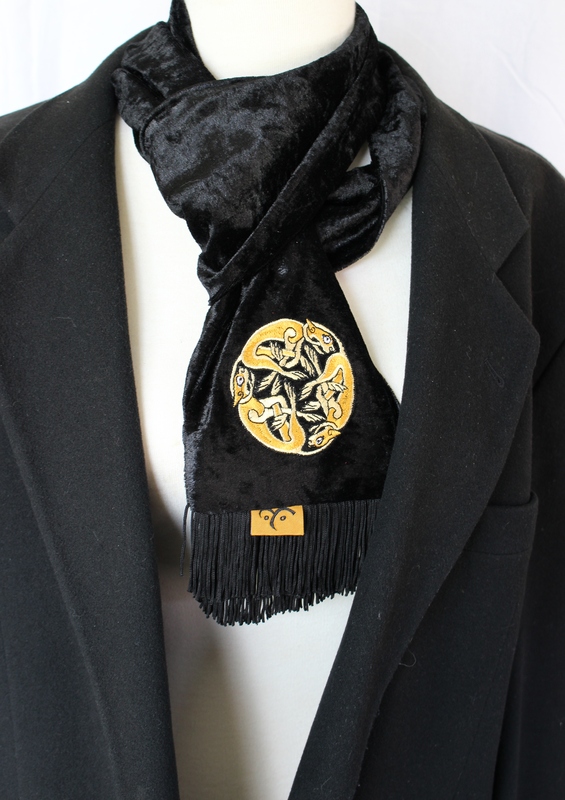 Made from super soft black crushed velvet, this scarf is embroidered with the Celtic Hounds design that appears in the Book of Kells, one of the most famous illuminated manuscripts, which is now housed at Trinity College in Dublin. 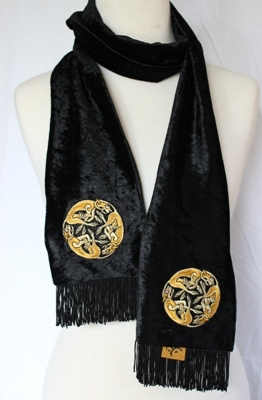 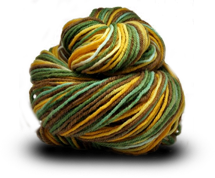 For more information about Celtic designs and their meanings, check out Kim's blog here. 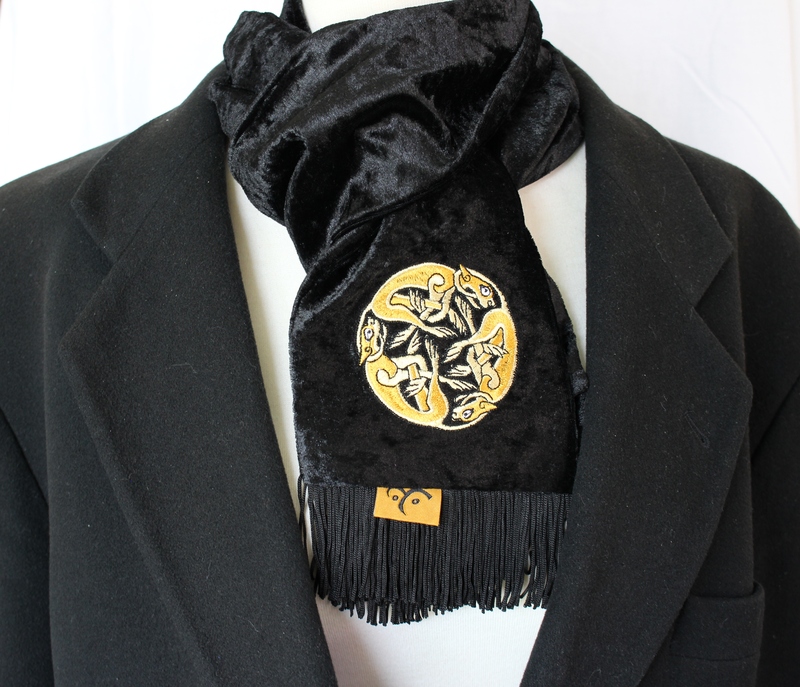 As with all of Kim's luxurious velvet scarves, it is embroidered in four (4) positions; front and back on both ends.